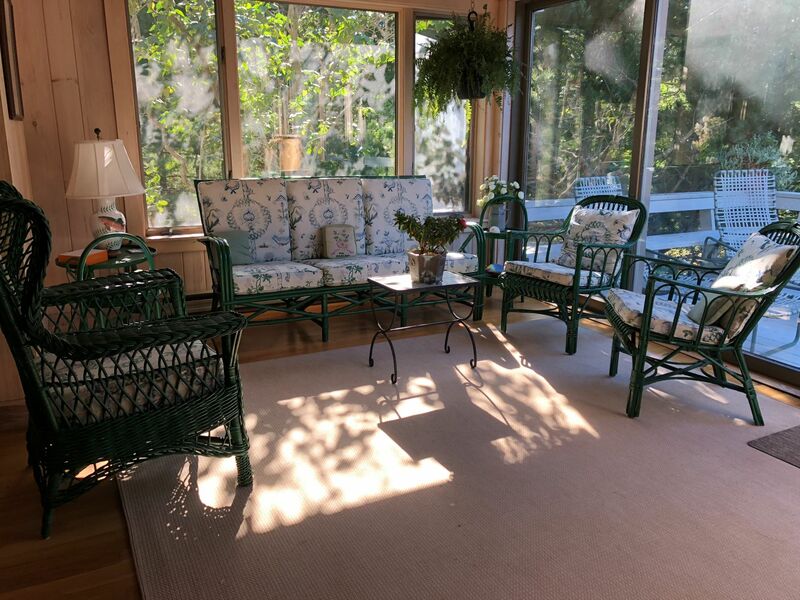 First time offered as a rental property at Prouts Neck, 3 Fieldways offers an open concept kitchen/dining/living room with 2 bedrooms and 2 bathrooms. 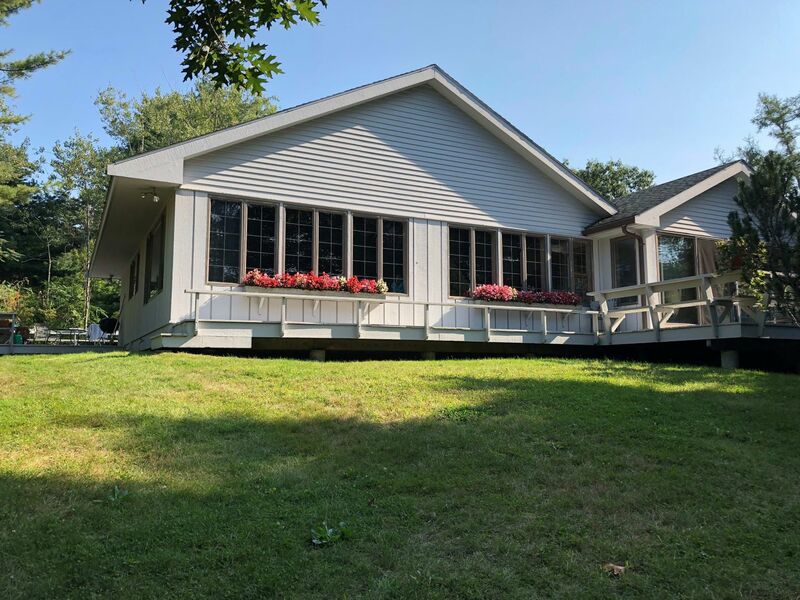 Knotty pine paneling throughout, a beautiful wood-burning fieldstone fireplace in the living room, a cheery sun porch and two decks complete this property. Amenities include A/C in master bedroom, a charcoal grill and WIFI. A well-behaved adult dog may be permitted with prior approval of owner. This is a non-smoking property. Offered at $4,500 for either June 15-30 or September 1-15, or $12,000 for August 1-31, plus deposits and tax.